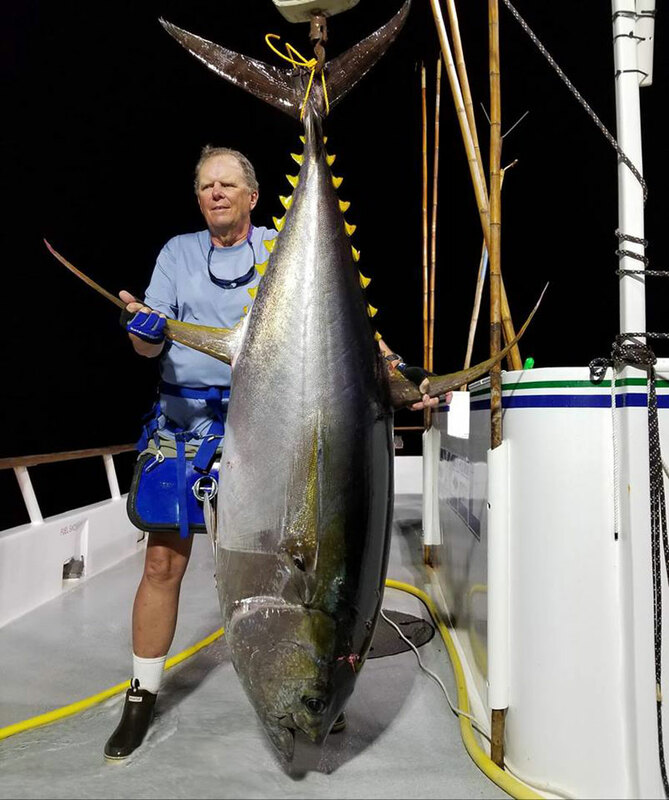 Congrats to Space Coast resident, Eric Griggs, who just caught this epic 277 lb yellowfin tuna on his West Coast fishing trip! 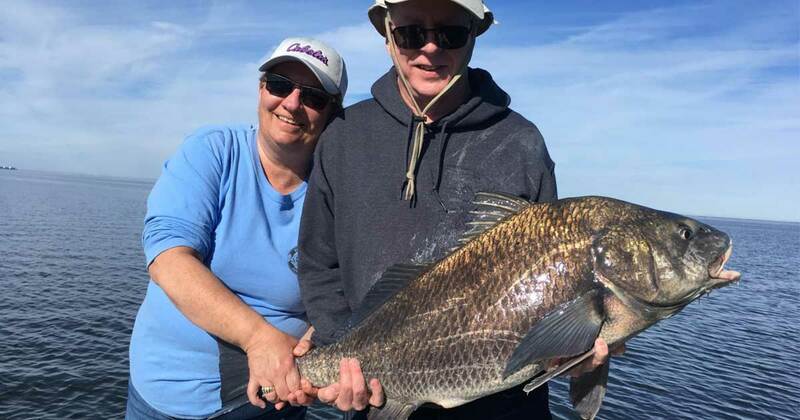 This past week was another great one for Space Coast anglers (maybe there’s something to that Super Moon Voodoo, after all), adding to a fantastic streak of fishing to kickoff 2019. Unfortunately, as they say, all good things must eventually come to an end. That end of lights-out fishing is probably due up this week. With windy and cool weather projected throughout this week, there will still be opportunities to do some fishing, but with windows fewer and further between that what we’ve been experiencing. Consequently, this may present a good time to work on those “Honey Do’s” or your long overdue rod, reel, boat or trailer maintenance. 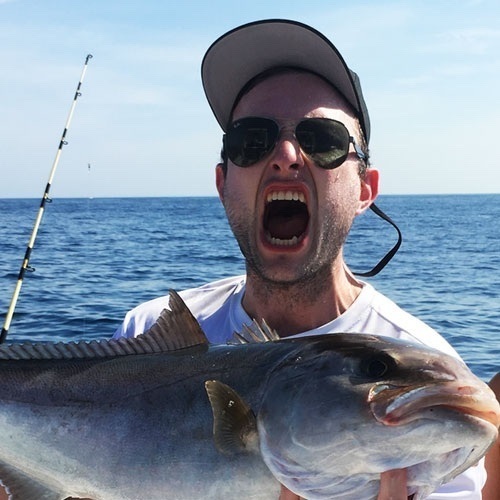 As always, if you do go out fishing, let us know how you did out there! With temperatures fluctuating wildly this time of year, it’s especially important to keep tabs on your tire pressures — and don’t neglect those on your trailer, or any spares, either. Air pressure in your tires will typically go down 1-2 pounds for every 10 degrees of temperature change, so if you’re already on the low-end, your risk of a blowout or damage to your tires are especially heightened in the cold. It’s also a great time of year for a cooling system flush and to ensure your radiator has the proper amount of radiator fluid. See the great mechanics at Devons Automotive, and they’ll be happy to do this and much more to ensure your vehicle is safe, sound, and running in good order. Devons Automotive also installs all towing and vehicle accessories, so whether you want to level your ride with some air springs, upgrade or install a new hitch, add running boards or a new bed cover, they can help. For any other and all automotive needs, see Devons in Indian Harbor Beach on 138 Tomahawk Dr, or call the shop at (321) 773-6412. 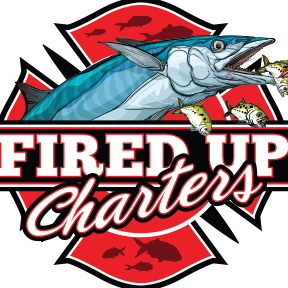 Every week, we randomly draw a name from our email subscriber list to award a $20 Strike-Zone Fishing Gift Card. The winner’s name is published in every weekly report. The only catch is, if you are announced as a winner, you must email us to claim your prize. 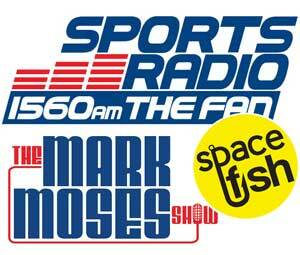 Congrats to this week’s winner, Andrew Murphy of Satellite Beach. 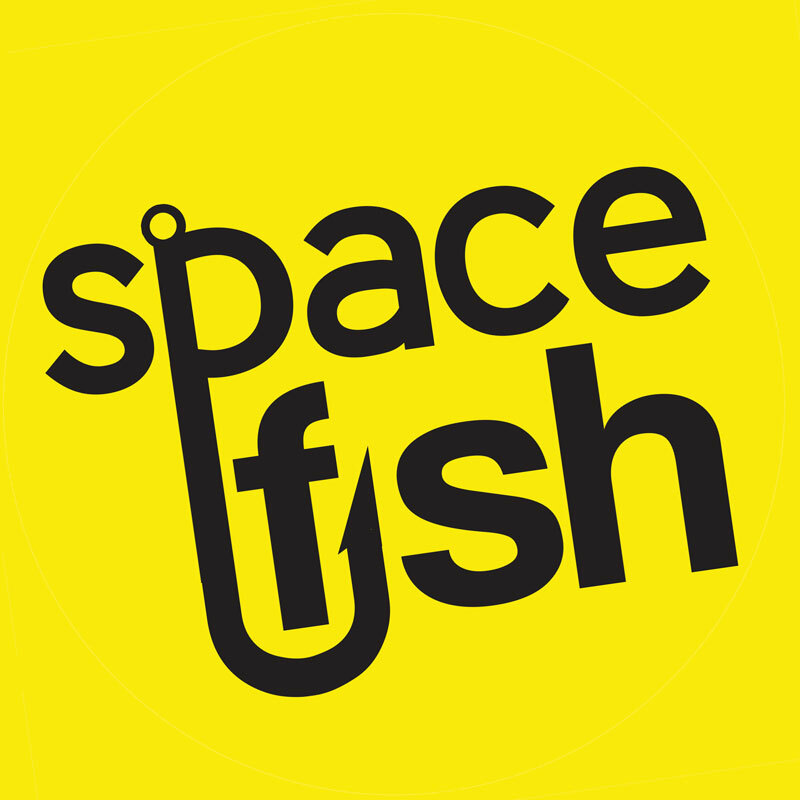 If you’re not already a Spacefish subscriber, click here to sign up. 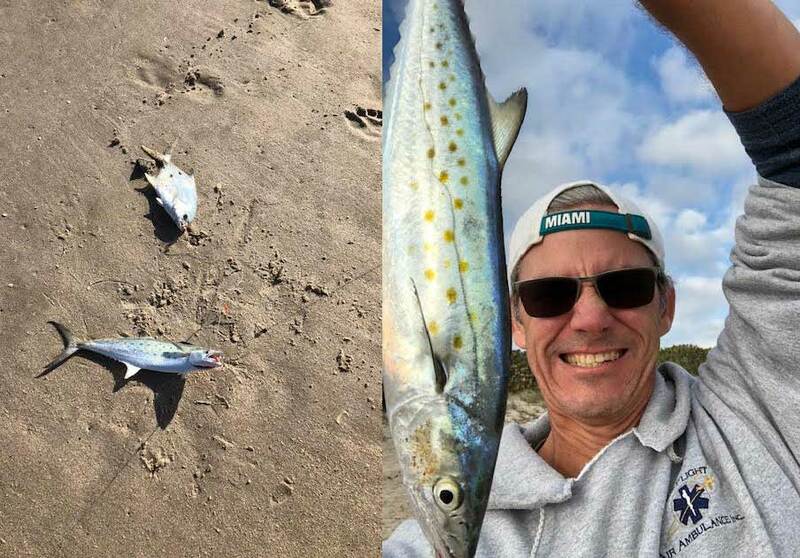 once again hearing great catches of pompano on the beach by the sebastian inlet useing sandfleas if you can get them or the gulp version .i am sure you catching whiteing there too. Time to change things up! Last week was some really amazing fishing! 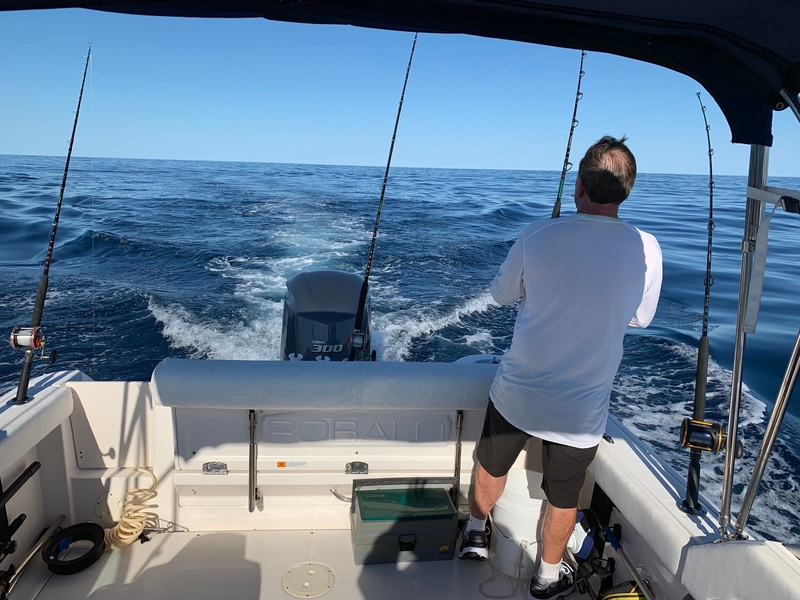 I spent most of my time nearshore and offshore targeting triple-tail and cobia, but unfortunately that will all be coming to an end this week due to some really intense rain and hard cold fronts. With this being said, this week my attention will be focused all on inshore fishing. 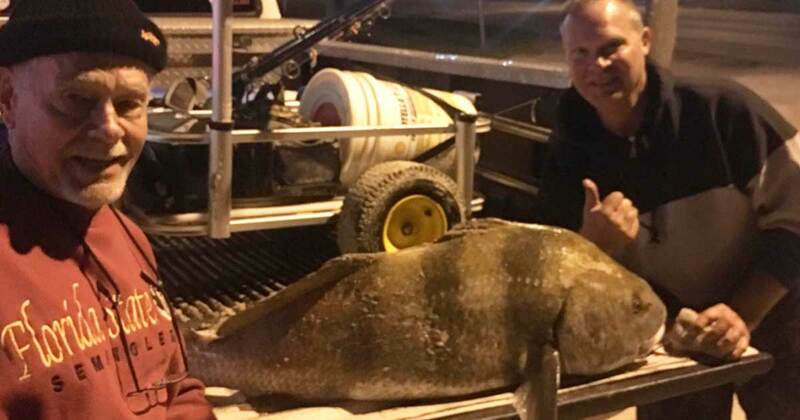 With even cooler weather setting in, the black drum bite has been really fantastic. One thing I love about this time of the year is we generally get cleaner water and these fish are very fun to sight-fish. 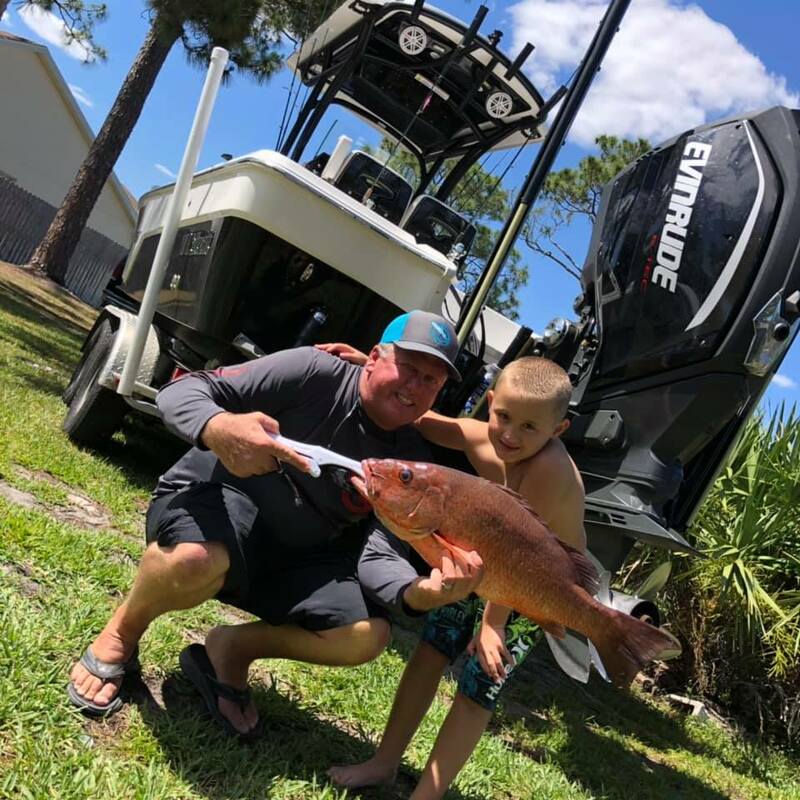 Most fish right now are around every bridge and dock structure you can find from cocoa beach, Merritt island, all the way down to Sebastian. Look for these fish to be hanging tight to the structure or areas that may have a slight drop off. 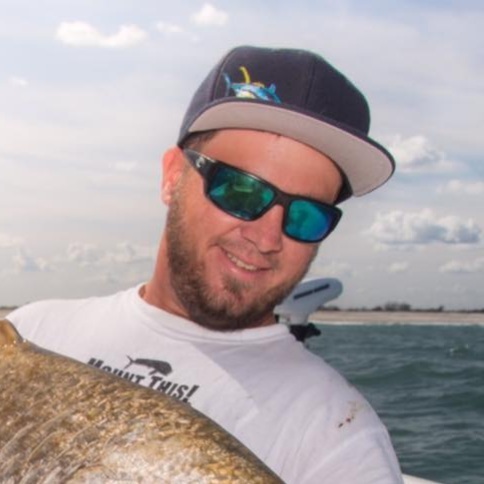 My favorite baits are half a blue crab, or a dead stinky shrimp, drum love the funk — the smellier the better! With the cleaner water the sight fishing has been fairly easy and the artificial enthusiast can have good opportunities using natural colored scented artificial baits such as the gulp shrimp in natural color, or pearl, paired with an 1/8 oz mission Fishn jig-head. 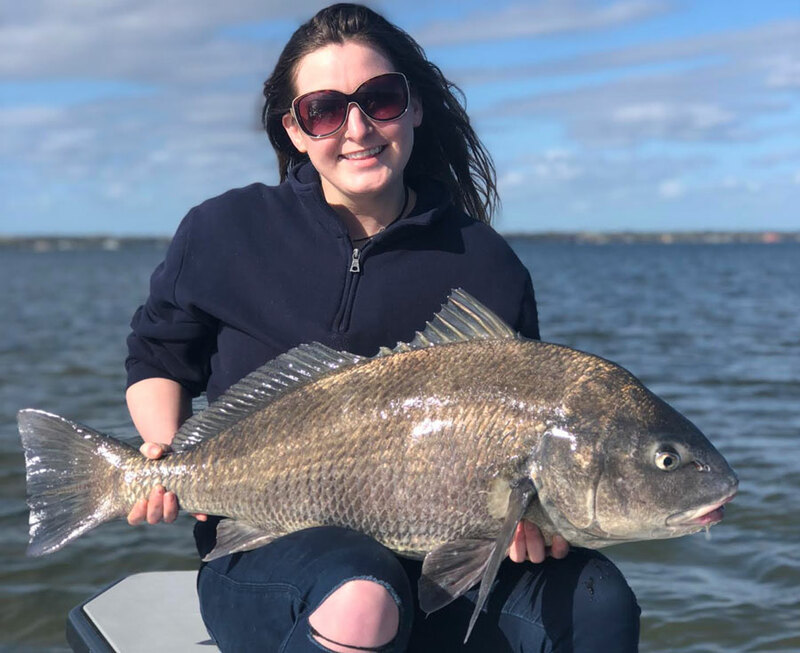 Fly fishing isn’t a bad option either and is one really fun way to catch black drum. Small shrimp imitation flies in tan or purple dragged slowly across the bottom cannot be refused! 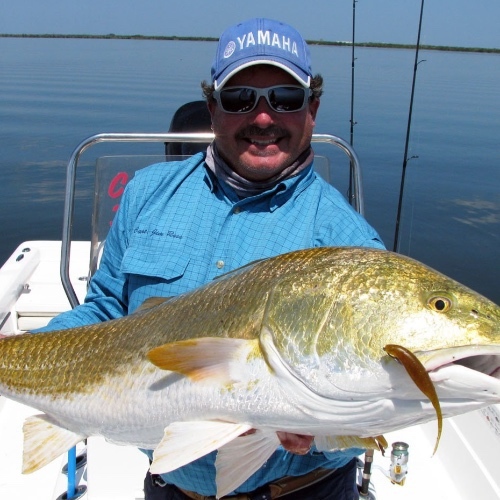 Most fish are between 10 and 20 pounds right now with a few bigger here and there. As always try to practice catch and release for future generations. Sharks follow you around too? 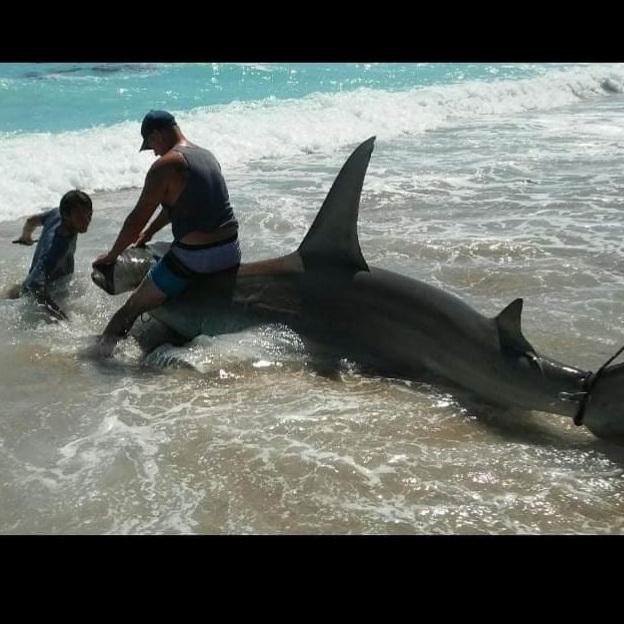 The last two weeks I’ve gone fishing I’ve caught a shark. Not that I mind, but this week I decided to chase some of the black drum, trout, and other good eats I’m reading about on here so I went to the river to fish the lagoon and NIR area. I put in at Riverbreeze and went straight to the “bush.” I didn’t catch anything of note until almost lunch time. I was free-lining a finger mullet, within eyesight of JB’s fish camp no less (where I was stopping for lunch), when the drag started going so I set the hook. To my surprise, deep up the river, I caught another shark! 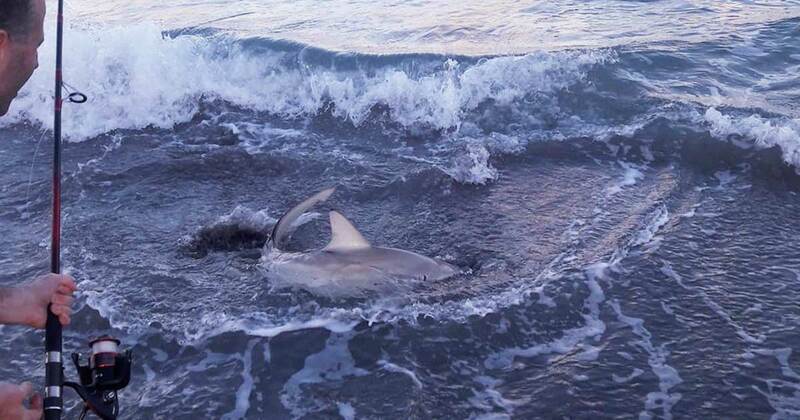 Three sharks in three weeks… I think they’re following me now. It wasn’t the biggest shark, about a three footer, but I thought it surprising to catch yet another shark so far in the river system. Here’s a quick vid of the lil’ guy. There have been a lot of fish in the Indian River Lagoon. 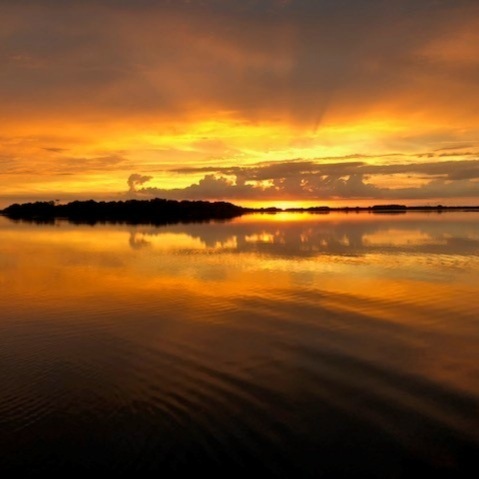 I’ve been in the North Merritt Island area because it’s what I’m familiar with. I’m sure that much of what I write can be applied further north and in the ML. 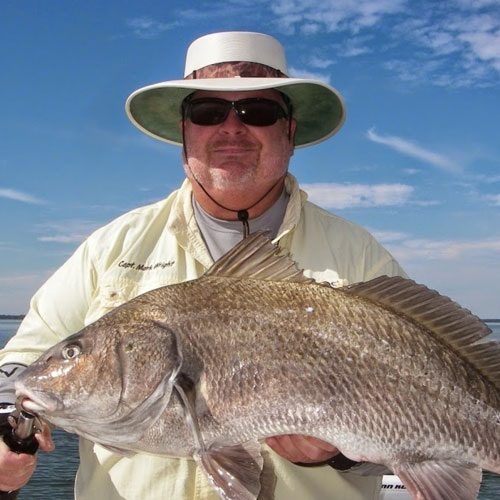 There have been black drum around 12-25 lbs tailing on the flats in 2-3 ft of water most afternoons and evenings. 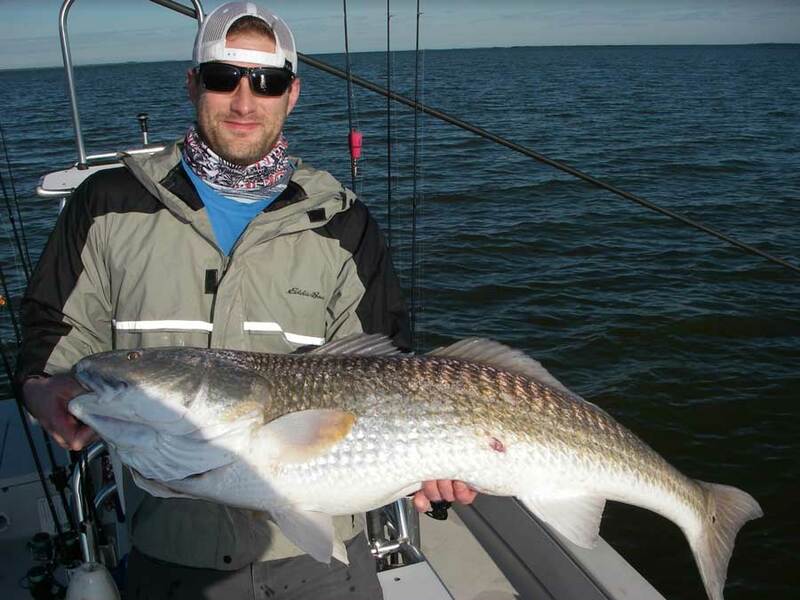 There has been a lot of very small redfish and a few seatrout on channel drop-offs and under some docks. 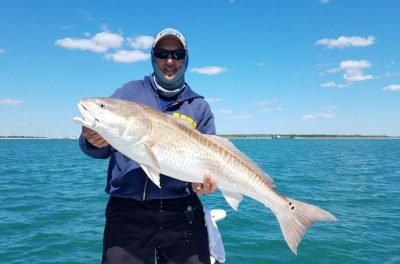 There have been a few slot size reds on shallow flats, but the low water levels are certainly changing where to target them. The wind direction has been a factor too. The MONSTER SQUAD set out on Sunday to have an epic night of fishing under the Super Blood Wolf Moon. With temperatures in the low 40’s and the wind howling from the NW, we strategically setup at the West end of Pineda Causeway on the Indian River Lagoon. Here, we had some nice wind cover that would be crucial in gutting it out through the extreme cold. Things started off promising as plenty of baitfish were readily available. We quickly loaded up a bucket with Mahara and finger mullet and were ready to slay some monsters. Unfortunately, the monsters we hoped for never showed up. 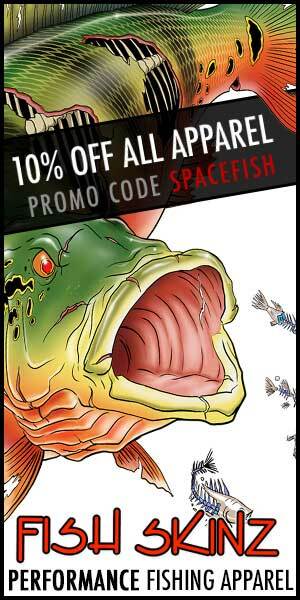 There were, however, seemingly an infinite amount of hungry catfish roaming the waters. 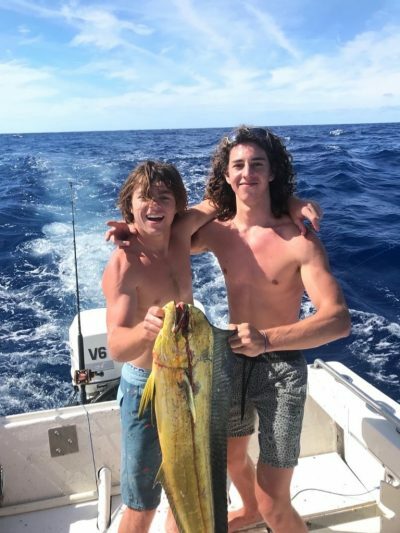 They didn’t care what type or size baits we had out there — they were trying to swallow finger mullet, lady fish chunks, shrimp, clam, and everything in between. The peak period of solunar activity was still projected ahead from 12:30 – 2:30, so we wanted to persevere as long as possible. But it got so cold that even the warming touch of Jack Daniels couldn’t keep these Florida boys from shivering in the wind. We packed it up at about 1am, leaving behind only a seawall coated in the blood of a thousand catfish. Hopefully the super blood wolf moon god will remember this noble sacrifice and reward us on a future outing. 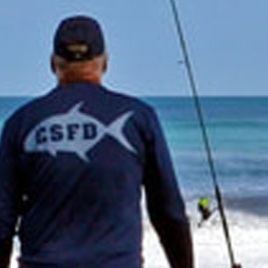 In A Pinch for Surf Bait? Try Crabs. 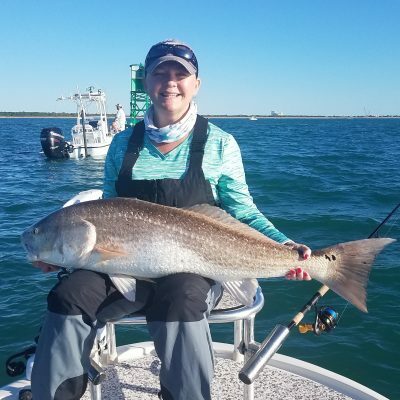 As the coldest weather of the year approaches, you can bet it’ll bring GREAT fishing for the beaches along the Space Coast! 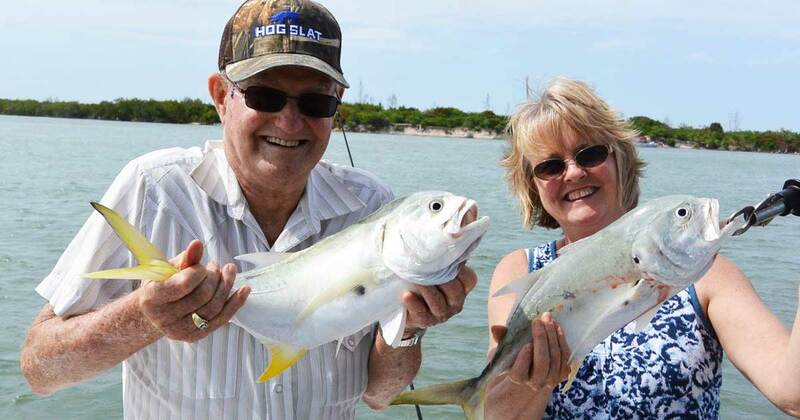 Pompano season has been awesome this year, and we should continue to catch these fish well into late April. So don’t worry, there’s still plenty of time to go out and try and catch these wave runners from the surf before they head further south or into the intercostal for late summer months. 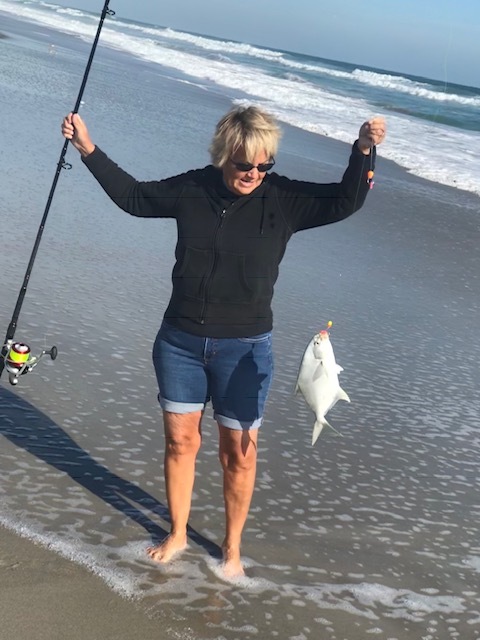 Right now in central Brevard County, the best times to fish have been right at first light, late evening or the hour before, of and after high tide. 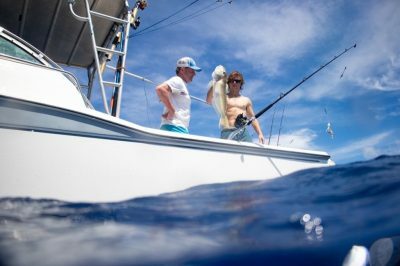 These time periods have been consistently producing quality fish. 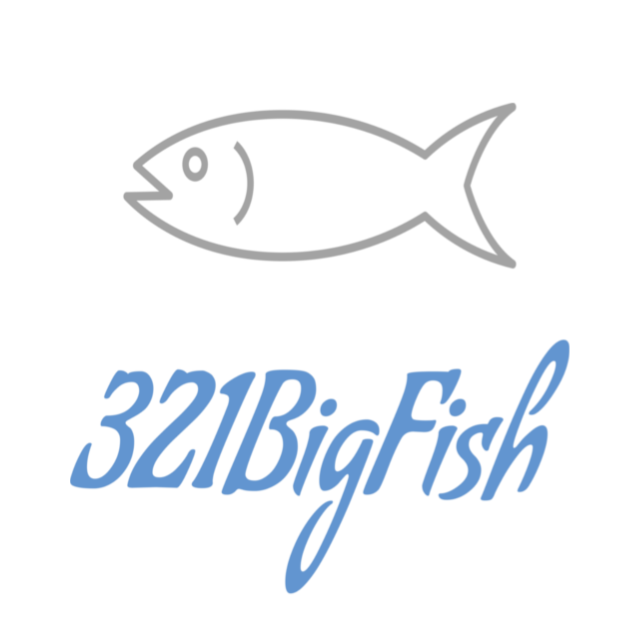 My go-to bait this season has been a tie between FishBites in Sandflea and clam scent as well as blanched fleas! 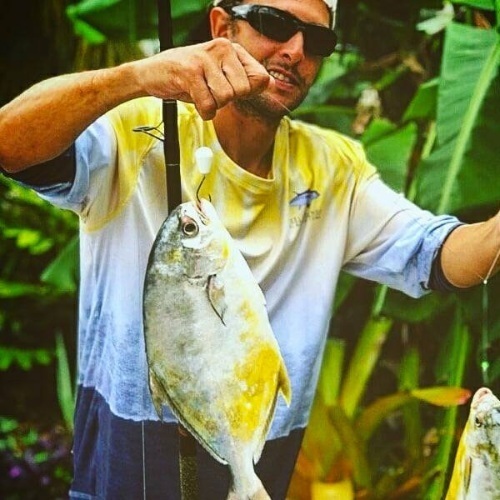 As for the large Permit, I prefer to use Speckled crabs for bait of choice! (Calico Crab, is another name) looks similar to a blue crab but are red in color with white spots – usually bait stealers). 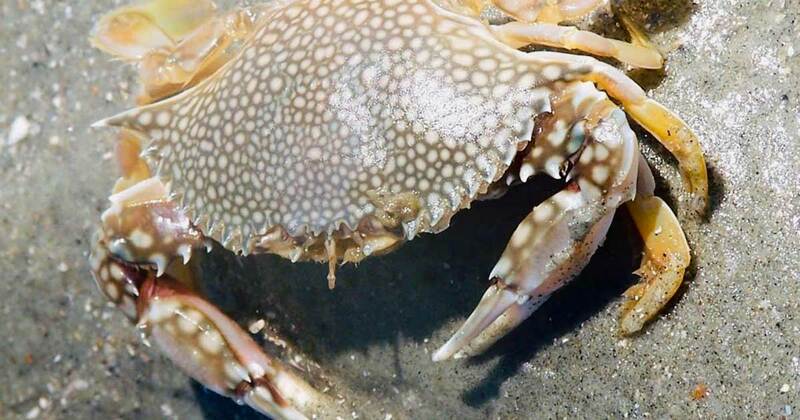 Use just the legs or the knuckle of the crab for bait — that’s all you need to use! 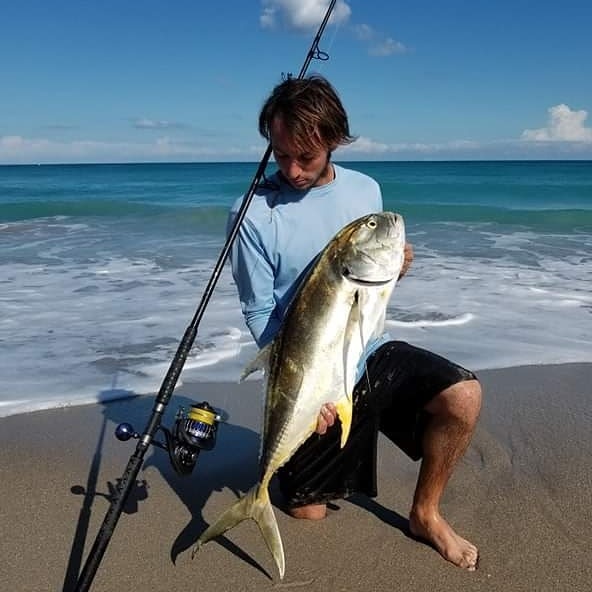 I usually catch a trophy Pompano or stud Permit by using this technique. Sometimes I’ll throw a couple sand fleas in front of a ghost crab hole and patiently wait for one to crawl out and feed! Then I throw a rag over the crab and quickly grab it before going back into his hole or getting pinched! It can be a fun game of cat and mouse, but if the bite is slow, the rewards may sometimes blow your mind! 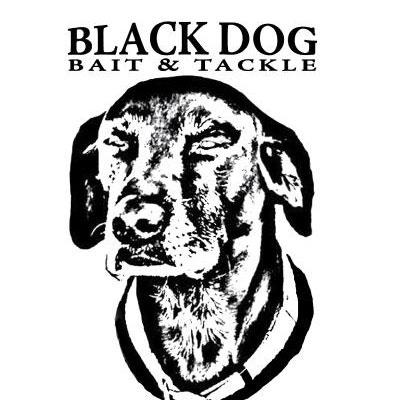 If your bait and tackle store is out of sand fleas or you just can’t get any on the beach, or maybe you used up all your blanched ones already, here’s another great tip. Instead of shrimp or clam, try using fiddler crabs! 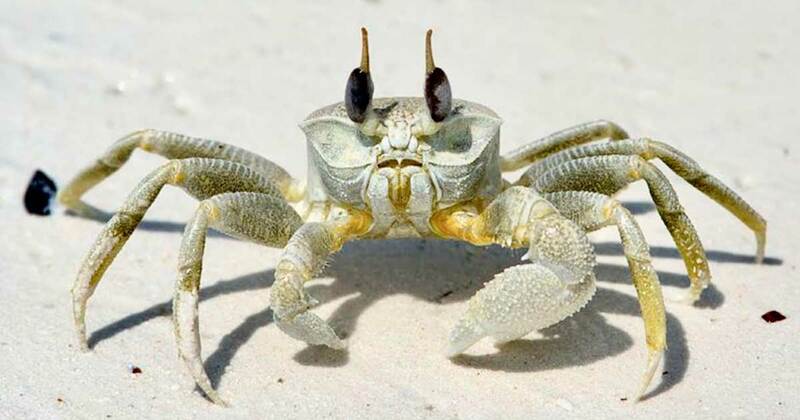 Fiddler crabs are GREAT bait to use in the surf to catch anything from Permit, Pompano, redfish, drum, and BIG sheepshead! So remember, if the bait shop is out of fleas ask for fiddler crabs or just go catch some yourself! It’s a lot of fun and even the kids can do it! I look forward to seeing you out on the beach! 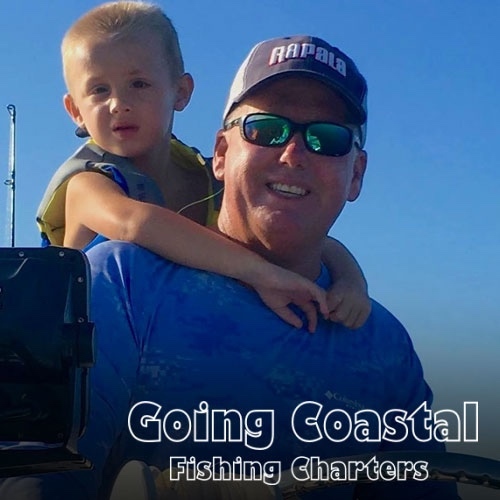 Remember if you’re interested in booking a one on one charter with me targeting Pompano and want to learn more about surf fishing, you can reach me at (321) 271-1061. 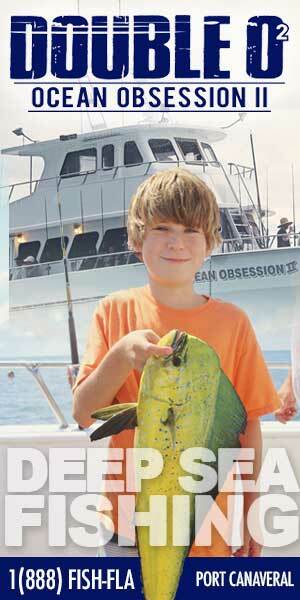 Remember, KITS 12 & UNDER fish for FREE, so bring the whole family out and let’s catch some fish! Jeff receives a great surprise as we fish the skinny waters of the Mosquito Lagoon in search of slot sized redfish and spotted seatrout! It’s been a cold water and breezy week for us and this combination of weather factors tends to keep me off the water. 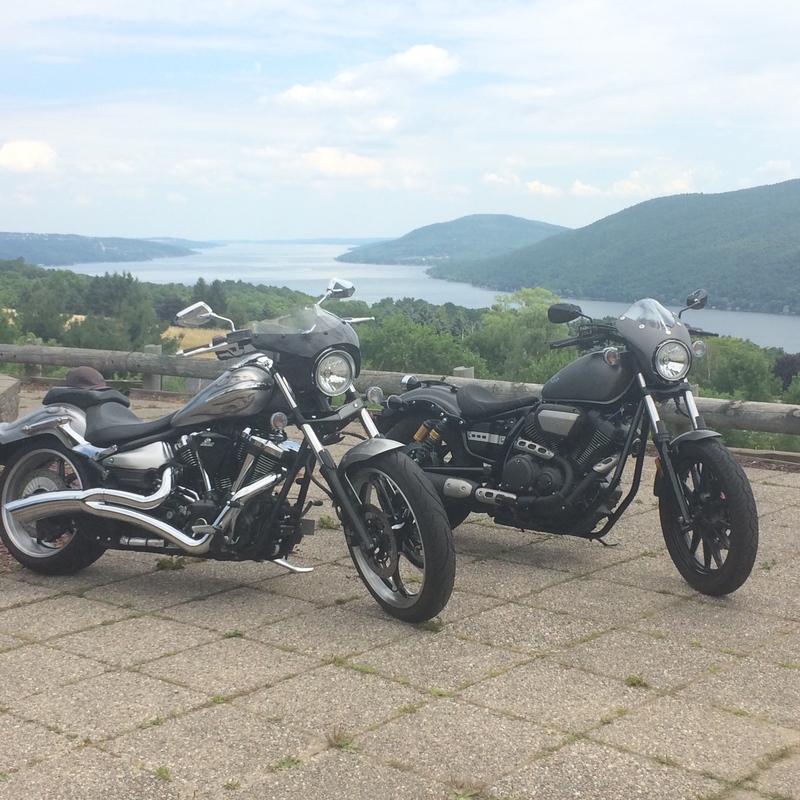 I ventured out only two times; a scouting trip with my friend Capt. 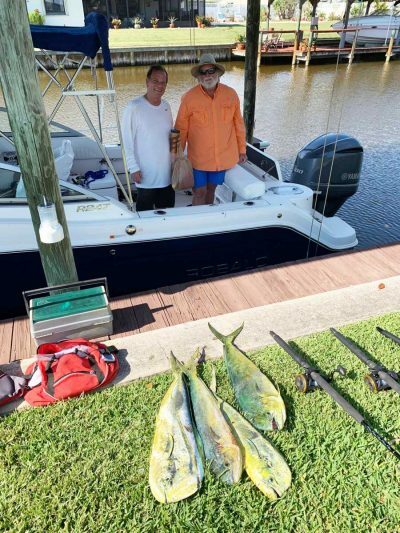 John Tarr on Tuesday and again on Wednesday for a Mosquito Lagoon charter. John and I launched from Marina Park about 8 A.M. and the expected three to four mile an hour wind was already double the forecasted wind speed. We decided to hide from its northerly direction and I headed to a sheltered bay. Setting up with the now gusting wind to our backs and poling into the sun (not my favorite strategy) we methodically covered the area. With an hour’s worth of bottom and stained water behind us we started the motor and headed to what we hoped would be a fishier spot. It wasn’t, nor was the next and the next place we tried. Neither of us was foolish enough to want to continue so we made a very early day of this trip. One might think Tuesday’s trip was wasted. It was not as I now eliminated an area I was considering for Wednesday’s charter. An area my client has fished in the past with another guide who is now retired. An area which has treated me and myriad of anglers well in the past and expect will do so again in the future! Again, due to the colder than I like water temperatures we launched at 8 A.M. on Wednesday morning. My first intended spot had four boats on it and I made a quick decision to head elsewhere. My run farther south proved to be a good choice. It was great choice as fifteen minutes into our actual fishing time Jeff lets out a slight but audible grunt as the rod arcs over and the drag starts playing my favorite tune! It was clear he was tied into a refish well over the slot, but with the stained water and precious little sun to see into the water I couldn’t tell HOW over the slot this was. Jeff was ten minutes into his battle before the monster was near enough to the boat to see its forty-five plus inch length and it’s very full girth. I struggled to keep the bow pointed towards the fish as it tended to fight its way into the wind. The fight continued for just over twenty minutes before I was able to descend the poling platform and leader and land Jeff’s trophy. A couple of quick photos and I placed the beast back into the water, half expecting to need to revive the monster. No reviving was necessary; it was all I could do to keep its tail-wrist in my hand. The fish swam off strong with no obvious signs of being caught. 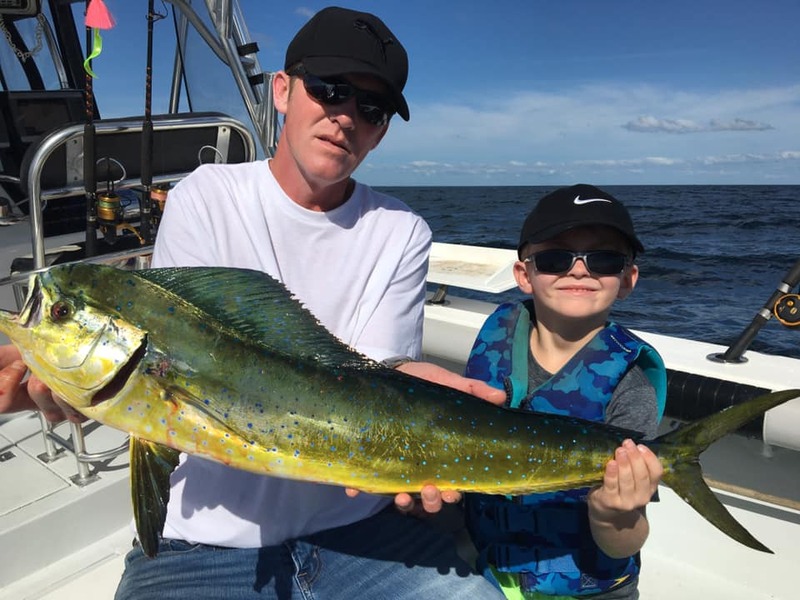 The most interesting set of factors which made this catch special for us both was we were targeting slot redfish and trout. We were using my lightest gear with a soft-tipped rod, 2500 series reel and eight pound braid. The lure was a simple pearl white Z-Man Curly Tailz rigged on their Finesse Bullet jig-hook. 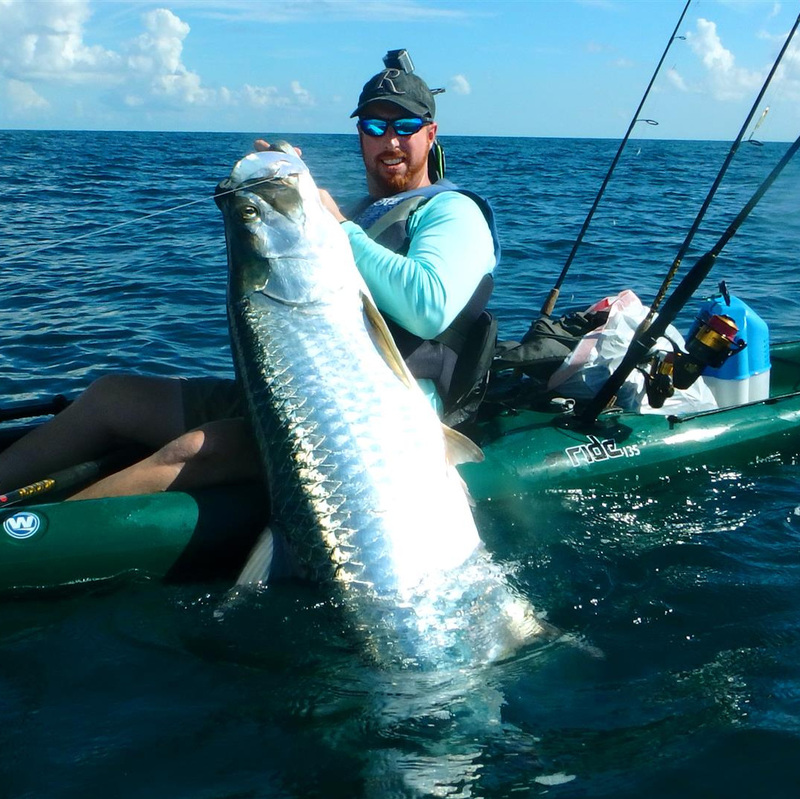 Catches like these are not uncommon when the rod/reel/line and DRAG are well matched. In the hands of a good angler or even a novice willing to take directions from their guide trophy fish are possible on tiny gear!